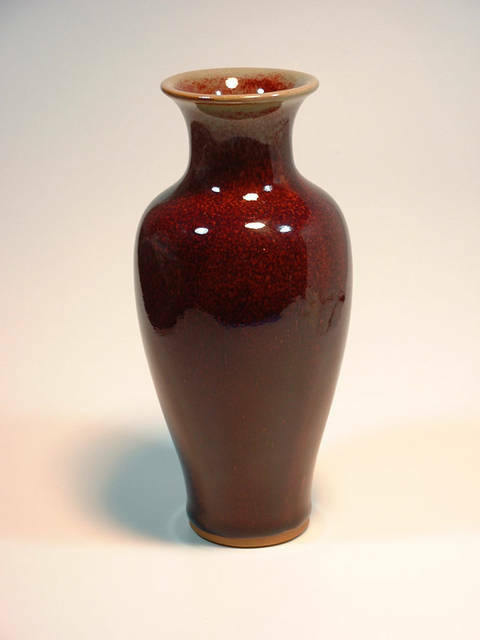 -- HOWEVER -- Except for the crazing this vase appears new, so I highly doubt it is Catalina Pottery. None-the-less this is a great vase. 8.5" tall. If you know "who done it", please let me know. You can use the contact seller link on this page. 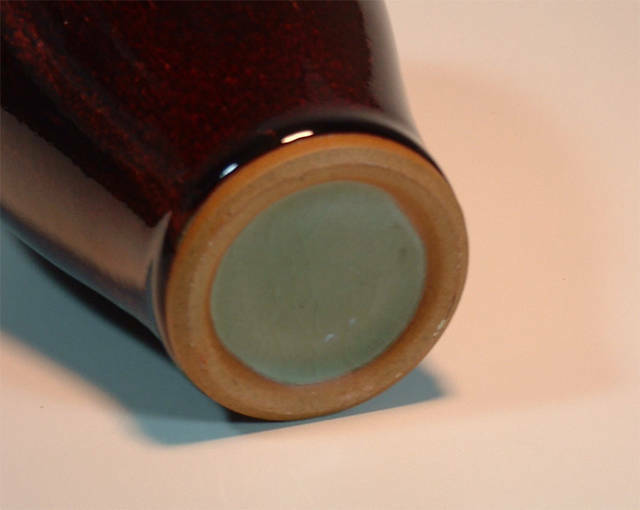 I have been informed that this is probably a modern Chinese attempt to recreate a glaze called Langyao and not oxblood.